Staying true to its commitment to the environment, Cotton Collection recently launched the ‘Bring Your Own Bag’ project, a sustainability initiative organised with the objective of reducing the plastic footprint of the retailer as well as its customers. 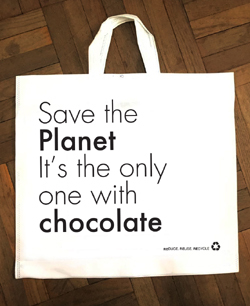 To this effect, Cotton Collection is giving the customer the option of purchasing a reusable bag made of cloth, at a nominal fee, instead of the plastic bag that is usually issued. With the emphasis being on reuse, the customer is encouraged to replace plastic bags wherever and whenever possible through the ‘Bring Your Own Bag’ initiative.